Book with Tripmasters.com to enjoy mobile app during your trip. Full of diversity, entrenched in history and blessed with spectacular landscapes, Eastern Europe offers something for everyone. The traditional way to see Europe and a wonderful way for first-timers to experience Eastern Europe. You will always have London and Paris and we won't take that away from you. After all, if this is your first trip to Europe, there is no better choice than London and Paris. But why not throw in another city, for a change? Hop on a short flight to Amsterdam, Prague, Rome, Barcelona, Madrid, Venice, Berlin, or Dublin. You won't regret it. The country's principal political, economic, financial, educational center, Moscow is one of the oldest and most beautiful Russian cities. It is the site of the famous Kremlin and is world-renowned for its architecture and performing arts culture. 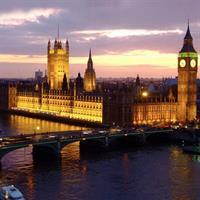 Its museums and galleries are some of the largest and most important in the world, housing frequent art exhibitions. Moscow is also well known as the site of Saint Basil's Cathedral, with its elegant onion domes, as well as the Cathedral of Christ the Savior. 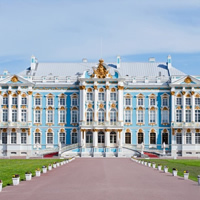 Founded by Tsar Peter the Great in 1703 as a "window to Europe," Saint Petersburg served as the capital of the Russian Empire for more than two hundred years. Nowadays it became a major European cultural center, and the most important Russian port on the Baltic. The city center is a UNESCO World Heritage Site. The main tourist attractions are: the Hermitage, the Mariinsky Theatre, and the Russian Museum. The most famous inhabitants of this city were Dostoyevski, Pushkin, Tschajkovski, and Tcherniavski. The Jewels of Russia and the perfect itinerary for a vacation in Russia! Visit Moscow (One of the oldest and most beautiful Russian cities, with the Kremlin, world-renowned architecture and performing arts culture, museums and galleries) and St. Petersburg (Founded by Tsar Peter the Great in 1703 as a `Window to Europe,` The city center is a UNESCO World Heritage Site with the Hermitage, the Mariinsky Theatre, and the Russian Museum). Travel between them by flight. This is a flexible vacation package. Select your number of nights in each city, desired hotel and activities. Europe manages its rich history with modern advances in a way unlike any other! These concepts are evident in this package, combining incredible cities who are masters of reinvention! Paris (the romantic City of Lights; an enduring city, home to rich history - museums, architecture, shopping, fine food and wine); Prague (the City of a Thousand Spires reflecting centuries of religious control dominate the skyline; today theater and arts are thriving among towering churches, centuries old bridges and romantic alleys) and St. Petersburg (a UNESCO World Heritage Site; founded by Tsar Peter in 1703 this former capital of the Russian empire is today a major cultural center). Travel between cities by plane. This is a flexible vacation package. Select your number of nights in each city, desired hotel and activities. Europe is at your disposal offering three cities, starting in Czech Republic and ending in Russia. Start in Prague (The City of a Hundred Spires` with 1,000 years of art and architecture) and then take a flight to Budapest (Two cities in one: Buda built upon hills, Castle Hill and Gellert Hill and Pest, as flat as a pancake, the perfect contrast between the right and left banks, a vibrant city) and then fly to St Petersburg. This is a flexible vacation package. Select your number of nights in each city, desired hotels and activities. Founded by Peter the Great as a `Window to Europe,` It was the capital of the Russian Empire for more than two hundred years. 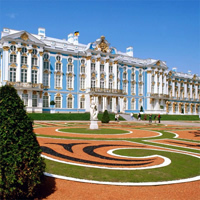 Today St Petersburg is museums, palaces, ballet and opera houses, and also cutting-edge DJs and Hip restaurants. 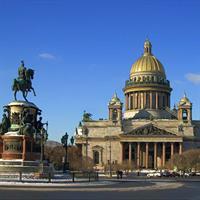 Combine Berlin, Warsaw and St Petersburg with flights between the cities. Combine Copenhagen, Moscow and St Petersburg with flights between the cities. 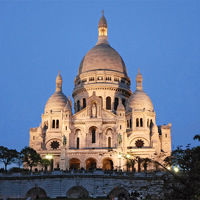 A popular combination of history and culture will delight and inspire you in this vacation package in Europe! Visit 2 fascinating cities beginning in Paris (the romantic City of Lights; museums with famed artwork, world-class shopping and the finest cuisine) and St. Petersburg (a UNESCO World Heritage site, a major European cultural center and the most important Russian port on the Baltic; home to famous writers and artists). Travel between these cities by plane. This is a flexible vacation package. Select your number of nights in each city, desired hotel and activities. 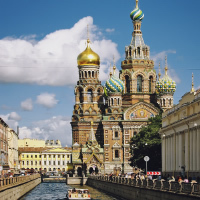 Combine Helsinski, St Petersburg and Moscow with flights between cities. Enjoy an exciting vacation to fascinating Northern Europe! Visit Copenhagen (A cozy European capital, filled with stunning architecture, historic sites, world-class museums), Oslo (Situated by a fjord and surrounded by hills and forests), Stockholm (Built on 14 islands around one of Europe's largest and best-preserved medieval city centers, with stunning and extremely varied scenery in every direction. ), St. Petersburg (Founded by Tsar Peter the Great in 1703 as a `window` to Europe, The city center is a UNESCO World Heritage Site) and Helsinski (Surrounded by water on three sides and fringed by islands). Travel between them by flight. This is a flexible vacation package. Select your number of nights in each city, desired hotel and activities. 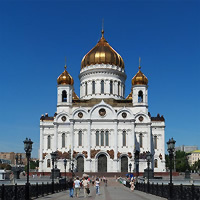 An escorted motorcoach tour traveling from Moscow to St. Petersburg. Relax and let all the details be taken care of for you! A wonderful combination of stunning cities in Europe. Visit Moscow, St. Petersburg and Budapest with flights between cities. See all the art, museums, churches, historic palaces, parks and more than you can possibly imagine! This is a flexible package. Select your number of nights in each city, desired hotel and activities. Combine Copenhagen, Stockholm, Helsinki, St Petersburg, Moscow, Warsaw and Berlin with flights between cities. Combine St Petersburg, Helsinki, Stockholm, Oslo, Gothenburg and Copenhagen with flights between cities. Combine Copenhagen and St Petersburg with air flights between cities. Russia and Czech Republic are at your disposal with this customizable package. Start in Prague (the City of a Thousand Spires reflecting centuries of religious control dominate the skyline; today theater and arts are thriving among towering churches, centuries old bridges and romantic alleys) and then take a flight to St. Petersburg (a UNESCO World Heritage Site; founded by Tsar Peter in 1703 this former capital of the Russian empire is today a major cultural center). This is a flexible vacation package. Select your number of nights in each city, desired hotel and activities. Visit Tallin (The Old Town is a UNESCO World Heritage Site with St. Catherine's Monastery from 1246, the 600-year-old Gothic Town Hall, the world's oldest functioning pharmacy), St. Petersburg (Founded by Tsar Peter the Great in 1703 as a "window to Europe, The city center is a UNESCO World Heritage Site with the Hermitage, the Mariinsky Theatre, and the Russian Museum) and Moscow One of the oldest and most beautiful Russian cities, with the Kremlin, world-renowned architecture and performing arts culture, museums and galleries). Travel between them by flight. This is a flexible package. Select your number of nights in each city, desired hotel and activities. Combine Warsaw, Tallin, St Petersburg and Moscow with flights between cities. and receive our latest deal! * Sample prices displayed include international and domestic airline tickets as per itinerary and ALL airline-related taxes and fuel surcharges and are per person, based on double occupancy, and are dynamic in nature. Prices do not include insurance or delivery charges which are optional and customizable by the traveler. The airfare portion of the itinerary price is based on economy class, midweek departure. Prices do not include fees for carry on or checked baggage which can add additional fees per ticket on a roundtrip flight based on carrier charges. It also does not include any entrance fees or visa fees that may be charged at international airports. Some cities may charge local taxes that can only be collected by hotel at destination. Prices were accurate at the time we posted them. Sample prices were for a specific travel date and specific departure airport, as indicated. Your prices will vary according to departure cities and travel dates. We do not control prices (airlines and hotel reservation systems do). Prices may change dynamically and at times significantly numerous times during any given day. Since 1984: tailor-made itineraries for individuals and groups. © Copyright 1998 EuropeanDestinations.com. California Seller of Travel Registration #: 2051869&dash;40.